Grab and go. How to make your customers return? New or returning customers: what would you prefer for your company? New clients = new sales, which also involve huge efforts to attract new clients and have them purchase. In addition, it takes time and money for advertising. These expenses might be justified — but not in the long run. Regular customers and repeat sales are much more desirable, which doesn't mean they are effortless, however: you have to develop loyalty programs, personalized and customer-oriented approaches, providing for a perfect customer experience. In return, you are getting stable sales, positive feedback, and prospective business growth. If that's what you want to get — let's get down to business. This is far from being always justified. Clients tend to think that "a good quality product cannot be cheap" and "low price means there's something wrong with it", or "I have experience buying for half price, which was actually the real price of the product". Another risk is having customers make a single purchase and leave — just because there they don't need the product any more. How to fix it: make privileged offers and discounts, provide service for each purchase — not only for the first one. This will increase your chances to get your customers return. Mike adores steaks, and is always striving to choose organic ones from reliable producers. But he doesn't care about the brand of the frying pan he is using to cook his steaks — all he needs is a thick bottom with a non-stick surface. If your product or service is not unique, and the competition is high, selling might be a problem. It makes little difference to customers where to buy, as long as price and quality are about the same. They can even buy similar products from a different vendor every time. How to fix it: be unique and stand out from your competitors. Think of a compliment you can offer: for instance, special service, a gift, or a lucrative offer for the next purchase, etc. The point is to offer a relationship to your client, and not just another purchase. For example, some appliance stores offer their clients to junk their old consumer electronics and get big discounts for new purchases. Clients don't even need to pay for delivery: they get their old stuff moved out and new stuff delivered together with a discount provided. Emily likes to travel and usually takes a lot of stuff with her. She has to buy a new suitcase nearly every other time she travels, because her suitcases get out of order all the time. People buy products and services to solve their problems and satisfy their needs. And it can sometimes happen that the problem lingers, after the product or service was purchased. In this case, the client will never buy from the same company again. Another extreme is when your product or service gets a client's problem solved for a long while, making it necessary to make another purchase in more than one year. How to fix it: expand service. For suitcases, for instance, you could offer mending in case of a damage, or a discount for the next purchase. Other solutions include expanding your consumer audience, and improving your product. For example, smartphone designers launch different product modifications with new features every year, thus motivating their customers to upgrade. David found a good provider to get Internet and TV in his new apartment. He subscribed for 105 Mbps Internet and 230 TV channels for $129.99 a month. The first month was OK, but at the end of the second month David got a $500 bill. He called the provider to discover that he had been awarded with 100 additional channels — as a free bonus for the first month. He was supposed either to deactivate the bonus starting from the second month, or switch to a new rate automatically. David ended up paying the bill and looking for another provider. Swindler vendors sometimes charge their clients for additional services or products without any notice, or deliberately hide the product flaws. They also play with delivery dates, turning a quick delivery of 1-2 days into a troublesome week procedure without any warning or excuse, leaving it to the client to call and find out the reasons. All this ends in negative customer experience for the client and the loss of customer for the company. How to fix it: take the opposite tack. Never forget that you have only one chance to charm your clients and make them return. When a company is only focused on sales and doesn't care much about further client interaction, the managers work only to sell "here and now". How to fix it: make up a script of your company interaction with clients. Divide clients into groups according to their specific needs, types, and interests: analyze "who's buying? ", "what's bought?" and "when?". Keep in touch with your customers: record all the client interaction history in your CRM contact profiles. Conversations recordings are saved in contact profiles automatically — as well as emails, attached documents, invoices, deals and other activities. You can leave notes and comments in contact profiles. For instance, a client mentioned his forthcoming vacation. This information can be of great importance, providing an excellent chance to offer your company's services! You can also set reminder notifications about calls, messages, and other important events right in the CRM. Collect any information about your clients, analyze it, and use it to predict their behavior at all the stages of their deal. This approach will make the sales process ever so transparent, and you will immediately see the deal stages lacking improvement. You will also see the points to draw client's attention at. Now that you have your strategy mapped out, you can automate it using the CRM business processes. Random sales are undoubtedly a source of profit — but not regular customers. 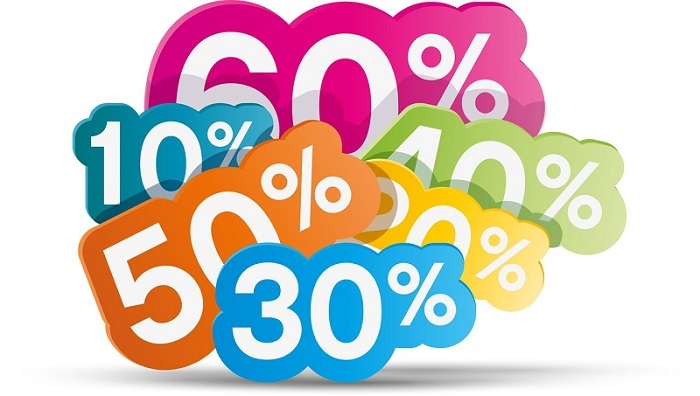 Unjustified discounts for the first purchase, economizing on the quality of service, deceit and the like taint the company and product reputation, and make your clients turn to your competitors. If you want your business to grow and thrive, try to build long-term relationships with customers.